Kott Software wins order from Mauritius based Beachcomber hospitality group. 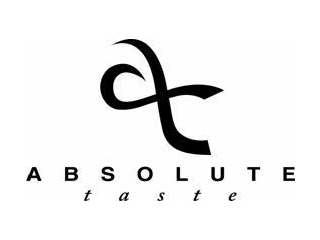 Kott Software has won another client for Aerochef (www.aerochefglobal.com), its inflight catering enterprise solution from Plaisance Catering, part of the prestigious Beachcomber hotels,the largest hospitality group based in Mauritius and Seychellesfor its inflight catering management enterprise solution, Aero Chef. AeroChef system was selected to replace Plaisance Catering existing legacy system used for over a decade after evaluating various products and vendors.This proves yet again the leader advantage of AeroChef system as a specialized software solution for this sector. 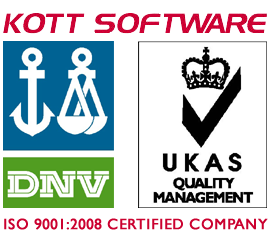 Cochin, India: August 2009 - Kott Software which has been an ISO 9001:2000 certified company got re-certified this month with the latest ISO 9001:2008 quality management standard. The company is accredited UKAS (United Kingdom Accreditation Service) and audited by DNV (Det Norkse Veritas). DNV's management audits have strengthened company's project management and delivery capabilities said Mr.James Mathew, Director- Operations of Kott Software.The auditors in recent audit gave praise to the in-house project management,reviewing and tracking system. The upgrade to new standard shows a continual commitment of Kott Software to improve and raise the bar on the quality and delivery of the software solutions provided by the company.The next target of the company is move from the current compliance to SEI-CMM level 5 certification. Boulevard de Strasbourg, France: January 2009 - Kott Software was contracted by a French company to create an innovative and niche security solution for online transactions. The security application would be tightly integrated to mobile phones which would generate OTP (one time pass codes) that would allow users to access sensitive data or online payments. The solution ensures that only the actual owner of the card can transact using three factor authentication. Application is powered by SMS alerts that are triggered to users mobile phone for each online customized event involving online purchases. The application was developed in Java/J2ME platform for wide platform acceptance. The application is scheduled to be adopted by some of the larger banks in Europe and South East Asia. Earlier Kott had provided a J2ME based application that uses Bluetooth technology to network and chat in areas where alternate connectivity is unavailable. A leading Private Jet and Event Catering company owned by F1 giant based in United Kingdom has signed a deal with Kott Software to provide its "AeroChef" solution for Inflight caterers. 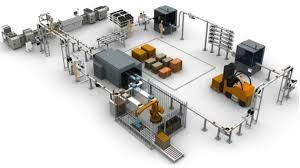 Kott Software is to deliver the lighter verison of AeroChef solution to meet the order management to delivery process cycle and automate their business process. The initial location identified to implement this application is in London, which will subsequently be expanded to Geneva and other European locations. London based company has entered into an agreement with Kott Software for providing warehouse management and logistics solutions as a dedicated solution partner. Under this agreement, Kott will develop web based applications to meet customer requirements and provide end to end solutions. Some of the applications planned are POS and Android based solutions.